Respected agricultural economist Prof Eckart Kassier will be the guest of honour at the launch of a postgraduate scholarship bearing his name on 3 May. 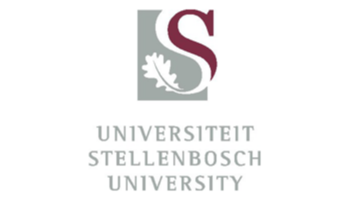 The scholarship will be awarded to top achievers in agricultural economics at Stellenbosch University (SU). The function is hosted as joint event between the Faculty of AgriSciences and the Alumni Relations division at Stellenbosch University. According to Prof Mohammad Karaan, current dean of the SU Faculty of AgriSciences and a former student of Prof Kassier, Prof Kassier has had a lasting impact on his students and the agriculture sector at large. “By naming a bursary fund in his honour, we not only acknowledge his role, but also contribute to the development of agricultural economists of the future,” Prof Karaan said in explaining the main reasons for setting up the fund. Ms Bev Witten, Director of Alumni Relations, echoed Prof Karaan’s sentiment and said this initiative highlights the importance of maintaining relationships with alumni and academic staff long after they have gone from the institution. Prof Kassier, known simply as “Kassier” in agricultural circles, spent almost his entire occupational career at Stellenbosch University after being appointed as professor in 1964. He was the chair of the Department of Agricultural Economics and helped shape the minds of many students regarding business management, production economy and the importance of a free market system in South African agriculture. After retiring in 1997, Prof Kassier continued to be an extraordinary professor at the SU until 2007. This 80-year old is still a director or trustee of a few agricultural entities and does consultancy work. He served on commissions of inquiry regarding the Transkei Development Corporation, the regulation of wine and distilling industries, the Maize Council and the South African sugar industry. He was the head of the Committee of Inquiry into the Marketing Act that recommended that the marketing of agricultural products be deregulated. Prof. Kassier subsequently became the first chairperson of the National Agricultural Marketing Council (NAMC), with the responsibility to manage the process of deregulation in favour of a free market system. As an expert on black economic empowerment (BEE) within the agriculture sector he served on the BEE Taskforce that compiled the Wine Industry Manifest. Prof Kassier has been honoured as Agriculturist of the Year, with the Golden Medal of the Fertilizer Society of South Africa and with the Free Market Foundation Award for his contribution towards the development of economic freedom. All former students of the Faculty of AgriSciences and their partners are invited to attend the alumni function at the Lanzerac Wine Estate outside Stellenbosch. Entrance is free. It will be held on Friday 3 May at 12:00 for 12:30. Lunch will be served. To reserve a place contact Taryn Allie at [email protected] or 021 808 4758.